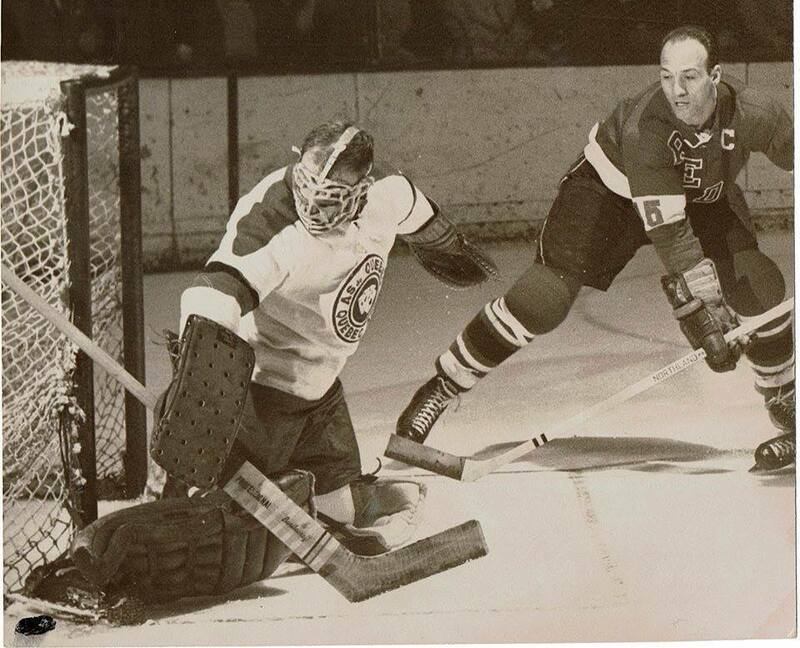 A “Class of 1966” inductee into the RI Reds Hall of Fame, Zellio “Topper” Toppazzini played parts of five years in the NHL and was a prolific offensive force with Providence in the AHL. 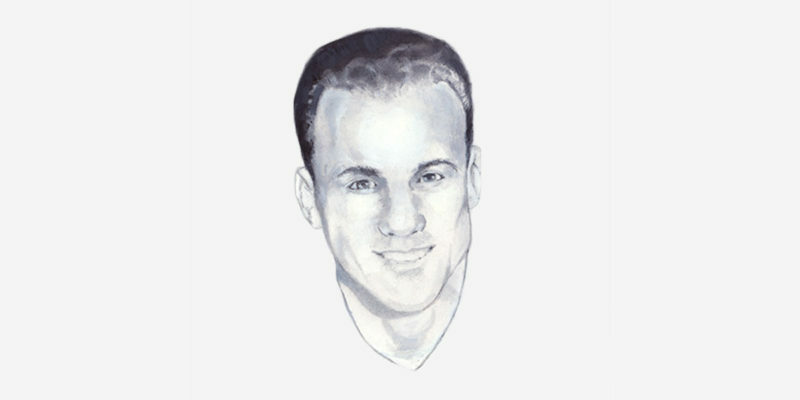 In 2012, he was enshrined in the American Hockey League Hall of Fame. Born in Copper Cliff, Ontario, he is considered the greatest Reds player of all time. Named the Reds’ “Player of the Century”, he was the team’s all-time leader in points (721), goals (277), assists (444), games (683) and playoff points (44). 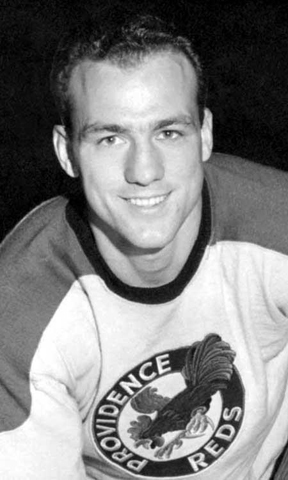 Topper is one of three players to spend 12 seasons with Providence, skating from 1951-1959 and 1960 to 1964. He ranks 12th all-time in assists (476), 13th in points (786) and 16th in goals (310) in AHL history. He split his first two pro seasons between the Boston Bruins and the AHL’s Hershey Bears. However, his legacy comes from his play with the Providence Reds. In November 1950, the talented forward was sent to the New York Rangers for Dunc Fisher. He responded positively to the change of scenery by scoring 28 points and working effectively on a line with Edgar Laprade and Tony Leswick. 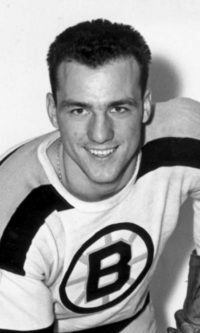 Toppazzini played only 16 NHL games the next season before embarking on his productive decade-and-a-half career in the AHL. 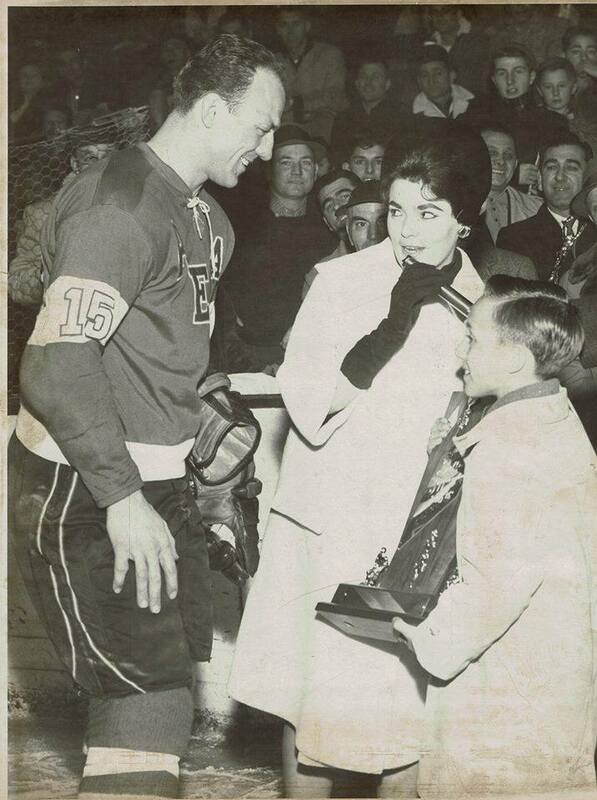 He led the AHL with 53 assists in 1954-55 and was placed on the league’s second all-star team. The next year, he was the top scorer in the loop with 113 points while earning selection to the AHL first all-star team. Toppazzini also led all playoff scorers with 20 points in nine games while helping the Reds win the Calder Cup. Zellio and his wife, Shirley, took up permanent residence in North Providence in 1960 and raised their family here. 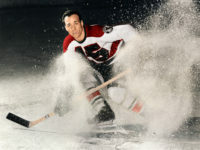 Immediately after his retirement from professional hockey in 1964, Zellio was named head coach of the Providence College hockey team, which he guided over the next four seasons. He would continue to be a regular fixture on the RI hockey circuit, officiating high school and collegiate games with longtime friends and former Reds’ teammates, Chuck Scherza and John Sleaver. Topper passed way in 2001 at age 71.